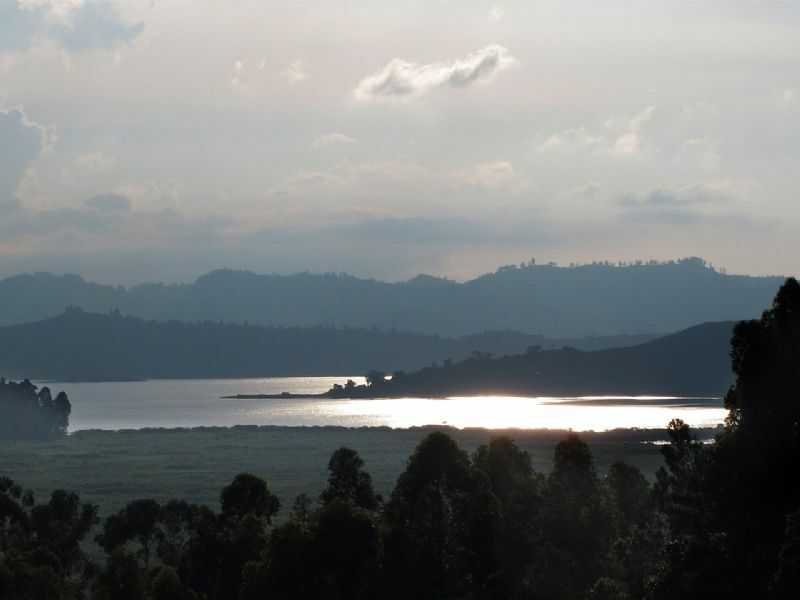 Our 14 days trip brings you the best of Rwanda and Tanzania; where the savannah meet the rainforest. Expect to see the big 5 and the other big game on the savannahs and up to 14 primate species, including gorillas and chimpanzees!!! We start in Nyungwe Forest in Rwanda. 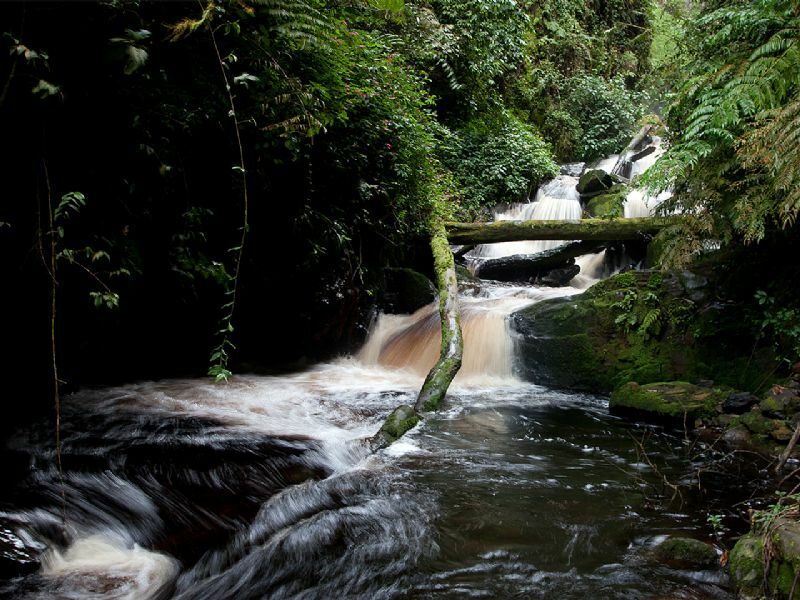 This beautiful jungle is the largest rainforest in East Africa and is home to 12 primate species, including chimpanzees. Second stop we make is Volcanoes National Park, where Dian Fossey studied the Mountain Gorillas. You will never forget a meeting with the mountain gorillas in Volcanoes National Park. 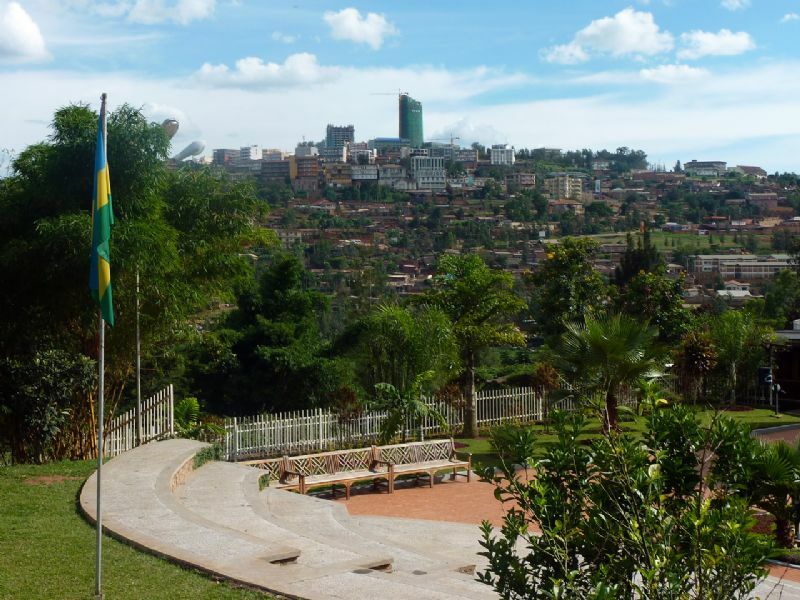 We end our trip in Rwanda in Kigali, from where we fly to Tanzania. 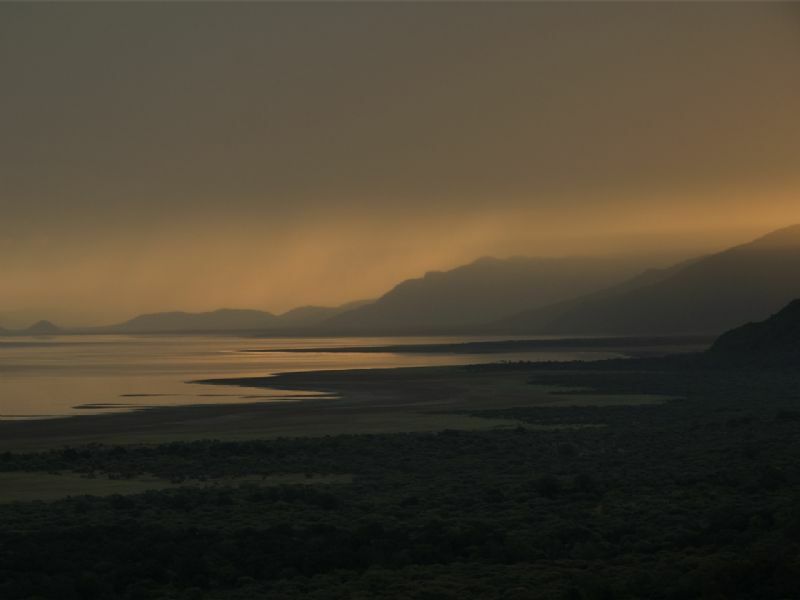 The first national park we visit in Tanzania is Lake Manyara, one of Tanzania's most dramatically located wildlife areas, consisting of a shallow but huge soda lake, located at the foot of the Great Rift Valley's western escarpment. This park is famous for its tree-climbing lions. 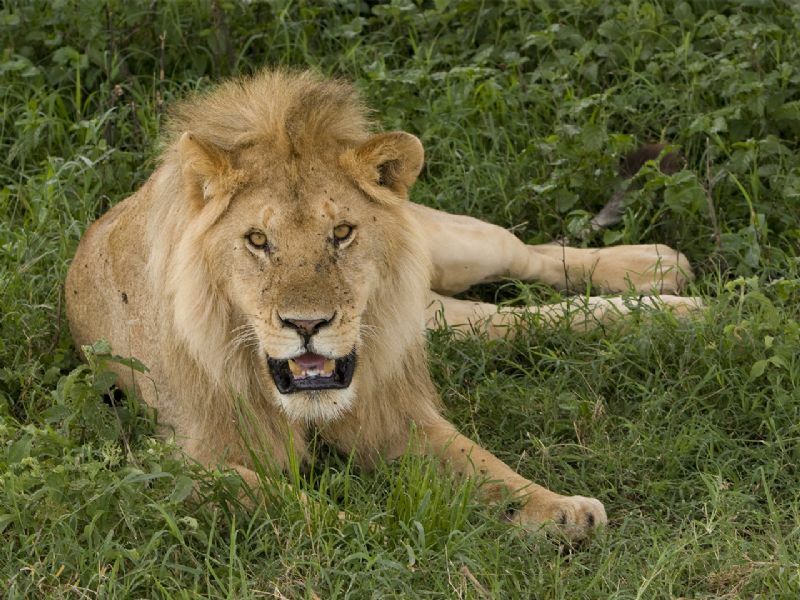 After that, we go to the Ngorongoro Crater, featuring one of the highest concentrations of game and arguably the densest population of predators and carnivores in Africa. This safari will also take you to the Serengeti, a massive wilderness of 14500 square km, where every day brings a new landscape. Arrive in Kigali (Rwanda). Meet and greet your guide and proceed to the hotel in town for an overnight. After breakfast we drive to Nyungwe Forest for an overnight. 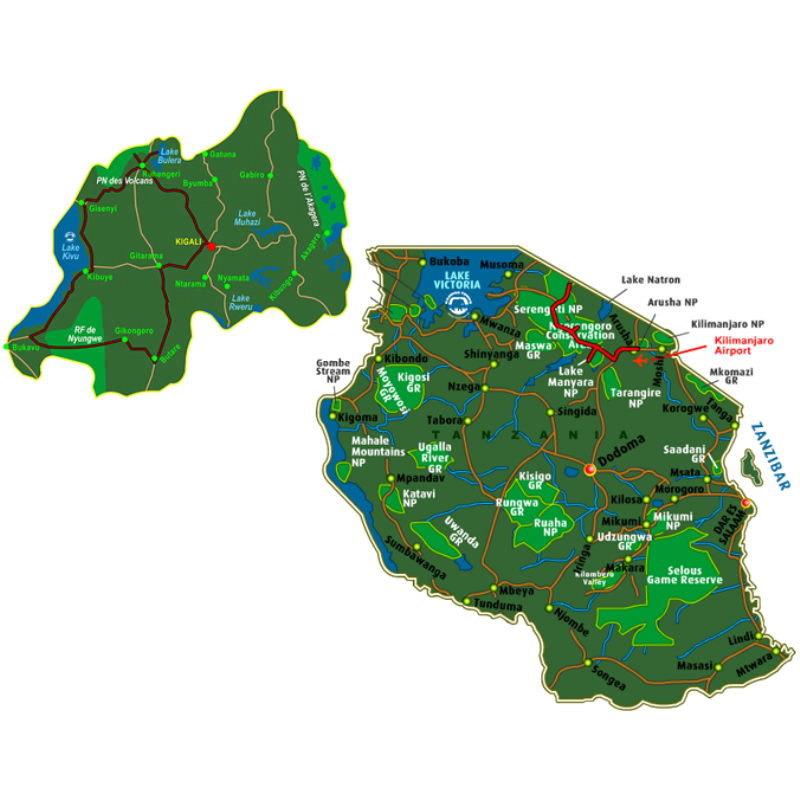 Nyungwe is one of East Africa's largest forests. It is home to 13 primate species including chimpanzees. 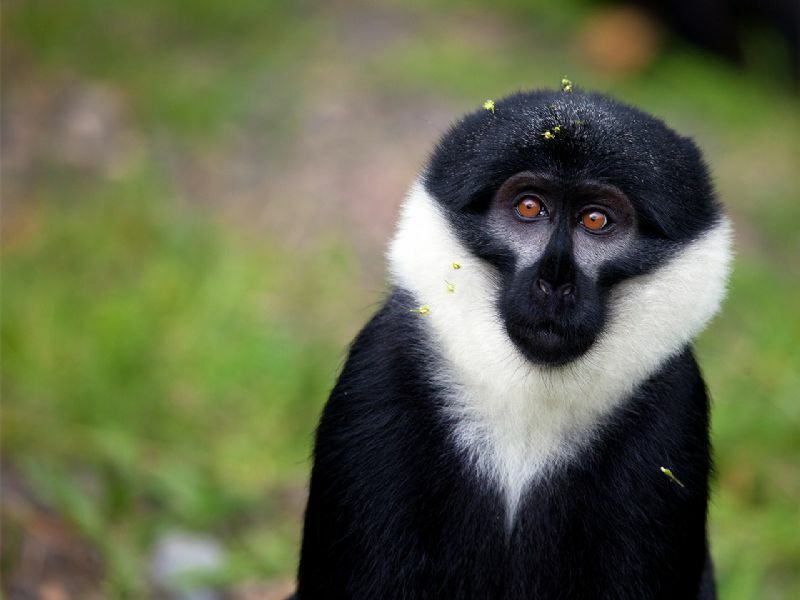 Other attractive monkeys to see: Angolan Black Colobus, Mona Monkey, Blue Monkey, L'Hoest Monkey and Owl Faced Monkey. 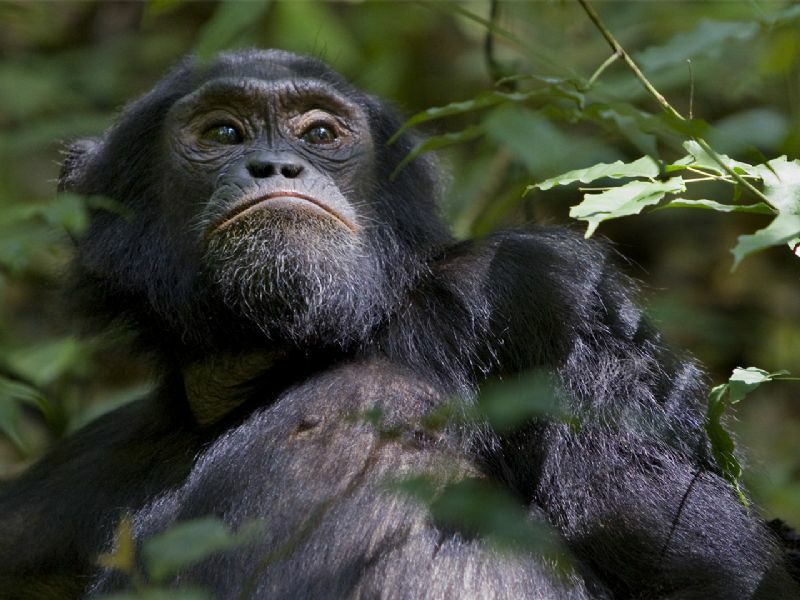 Go for Chimpanzee tracking in the morning! See them feeding, walking around and swinging the trees. The chimpanzees are our closest relatives! During this walk you are also able to see other monkey species and birds. Optional visit of a tea factory in the afternoon. Today you can make the beautiful waterfall walk, search for monkeys (especially Angolan Black Colobus and Mona Monkey) or do the canopy walk (all activities optional). Transfer to Kibuye by the shores of Lake Kivu. Relax at the shores of this beautiful lake. It is possible to make a walk along the lake or visit a vising village or make an optional boat trip on the lake. Transfer to the Volcanoes National Park. On a clear day we can see the 3 volcanoes on the border between Uganda and Rwanda. It is possible to visit a pygmy village on the way (optional). Gorilla tracking. Transfer to Kigali in the afternoon. The bamboo forest will drip around you as you first hear the breaking of bamboo signalling the group is near and then you will be face to face with one of the most delightful and fascinating creatures in the world. After an hour's viewing you will make the trek back. 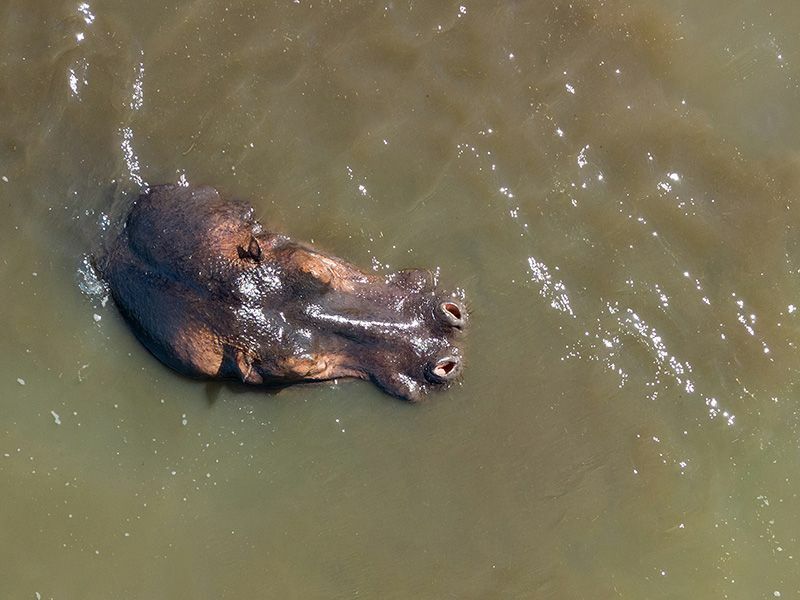 Transfer to Lake Manyara National Park, Tanzania's most dramatically located wildlife area, consisting of a shallow but huge soda lake, at the foot of the Great Rift Valley's western escarpment. Lake Manyara is famous for its tree climbing lions. Game drive in the afternoon. Today we drive to the Serengeti National park. 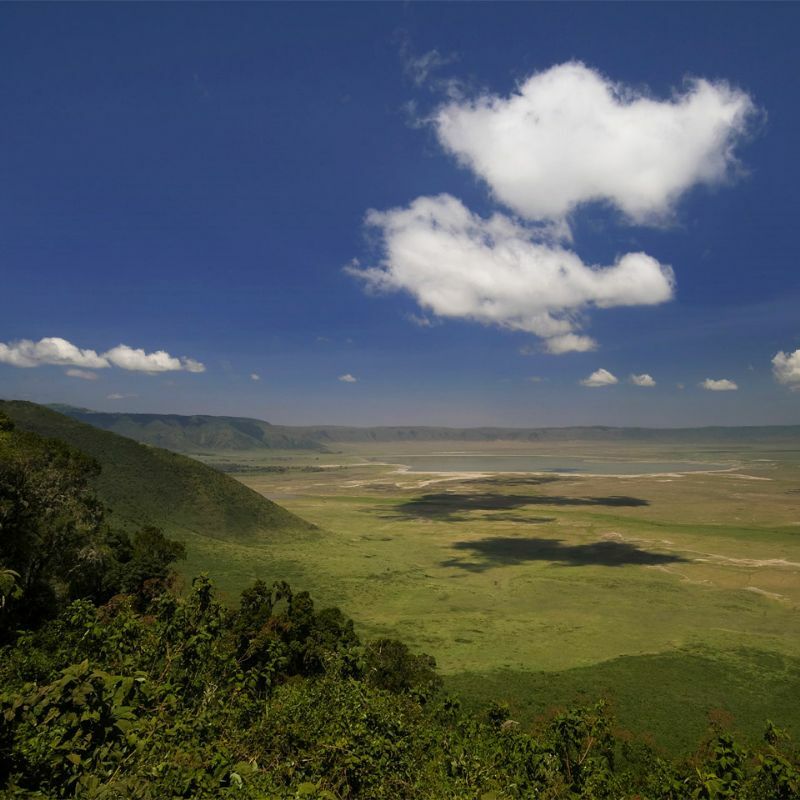 On our way we drive through the Ngorongoro Highlands, where we have a magnificent view of the crater. 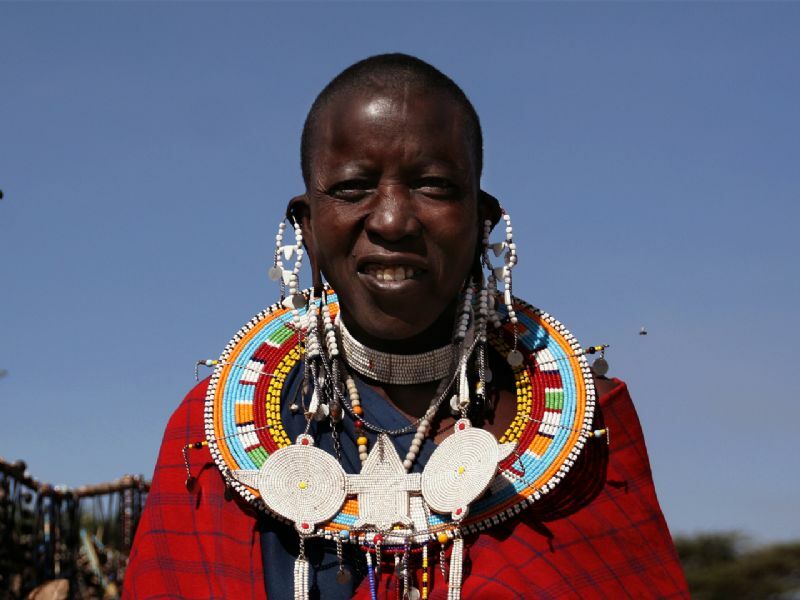 On this day it is possible to visit a Maasai Boma (kraal) or Olduvai Gorge (famous and interesting place where our ancestors have been found). Both activities optional. Game drive en route and in the afternoon in the Serengeti National Park if time allows. 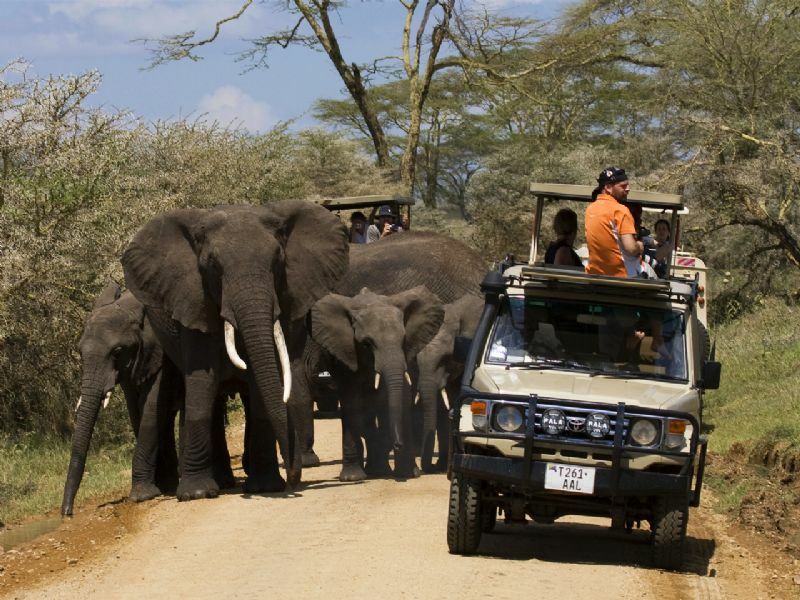 Full day safari in the Serengeti National Park. It is also possible to make a balloon safari in the morning (optional). Game drive in the morning. Afterwards we drive to the Ngorongoro Crater. Game drive through the Serengeti en route. 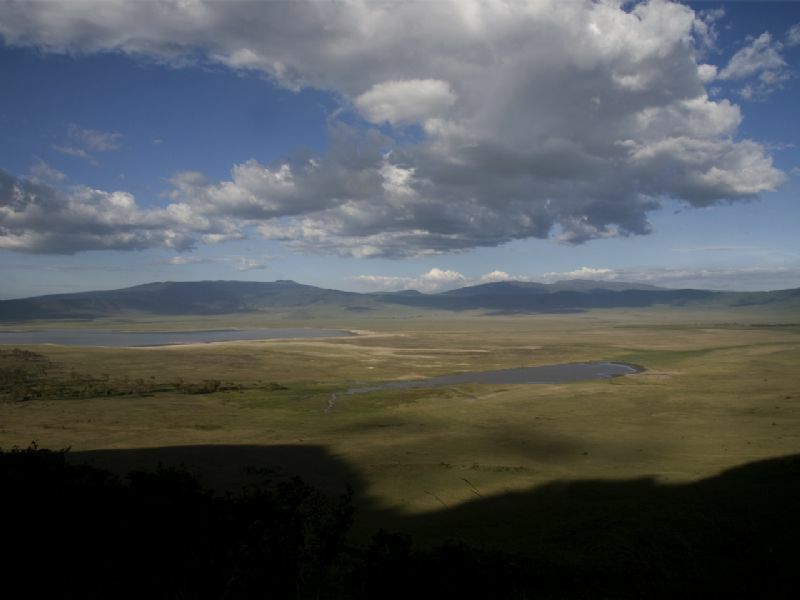 The Ngorongoro Crater, featuring one of the highest concentrations of game in Africa. Here you will witness an amazing spectacle of African wildlife, inside a self-contained world teeming with animals, with very good chances of seeing the big 5. In the morning we descend into the Ngorongoro Crater. Afternoon lunch at the Hippo Pool Picnic site. In the afternoon we ascend the crater. 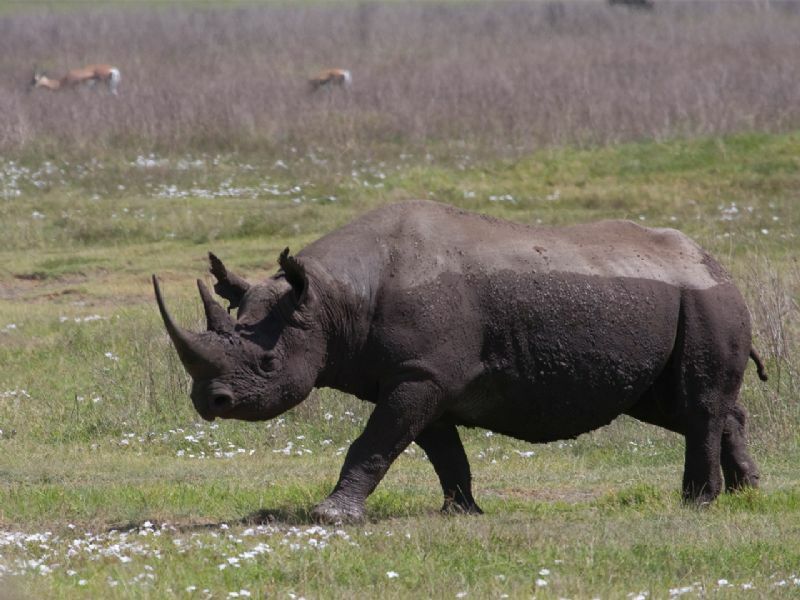 The Ngorongoro Crater is the best place in the world to see the Big Five: Elephant, Rhino, Lion, Leopard and Buffalo. 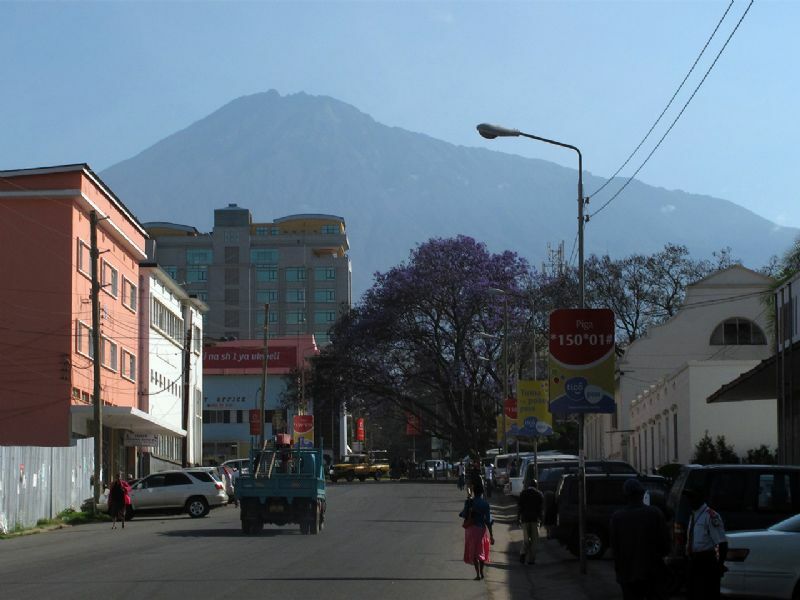 Transfer to Kilimanjaro International Airport for your outbound flight. It is also possible to extend your trip and fly to Zanzibar.